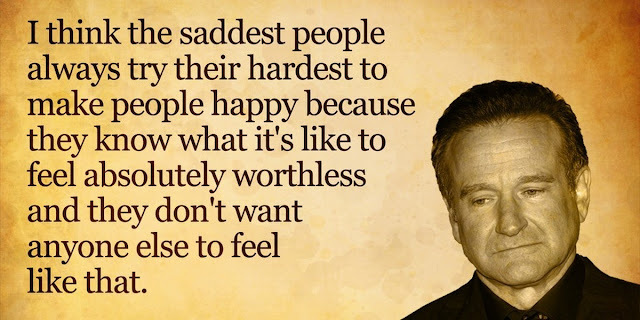 Robin Williams was a funny, complicated man who brightened the lives of many people through his comedy and his wit. He was amazing and unforgettable and I know he was always able to put a smile on my face. So I selected 11 of my favorite quotes from Robin to share with you all. Each quote makes me think about life, love, joy, and laughter. Enjoy. 01: “No matter what people tell you, words and ideas can change the world." 03: “Spring is nature's way of saying, 'Let's party!’"